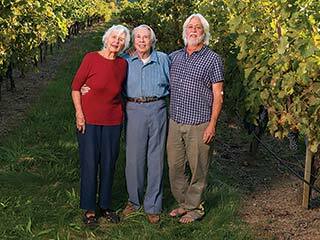 Donald and Traute Moore purchased Quail Run Vineyards here in Talent in 1989 and have lived there ever since. 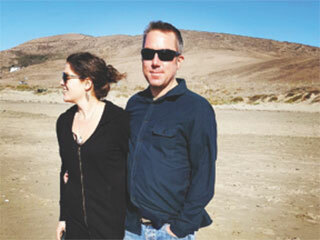 The couple started the winery part of their business, South Stage Cellars, in 2008. 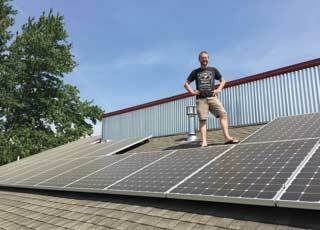 We recently had the chance to ask Flywheel owner Ian Bagshaw a few questions about his commitment to offsetting his Talent bike shop’s electricity usage with solar. What inspired you to make the move to solar? 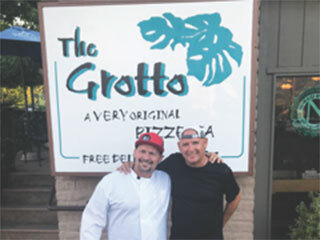 Dave and Lori Monroe, and Chere and Antony Mouyios took over ownership of Talent’s 18 year old landmark pizzeria, The Grotto, on April 1, 2018. The new staff would like to invite you to their Grand Opening Party to be held on August 31 featuring live music with local stand out band The Brothers Reed. Owned by Talent residents Brian Denner and Clea Arthur, Simple Machine is an urban winery and tasting room located on the south side of Talent. “The Simple Machine name captures Brian’s winemaking style,” Clea said. “Activities in the winery are kept to basics, a practice of minimal intervention. It’s low technology, all hands-on, old-fashioned winemaking the way it’s been done for thousands of years. 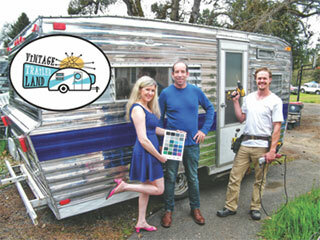 When Paul and Chrisanna Wesner bought a 1970 Aloha Travel Trailer sixteen years ago, they didn’t realize it would eventually lead them to opening their own travel trailer repair and restoration business someday. Copyright © 2017 Sneak Preview. All Rights Reserved.